Impasto. Building Texture With Dollops of Fun. Thick, juicy gobs of colour. 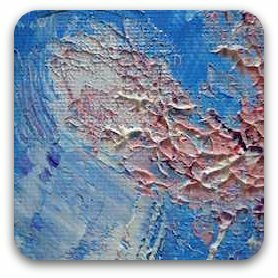 Impasto techniques will inspire spontaneity, depth and dimension. 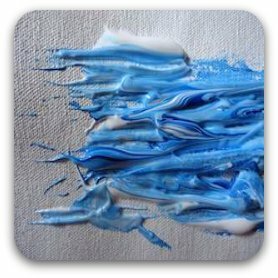 Impasto techniques seem to inspire a spontaneous approach to throwing on your paint. Those wonderful buttery raised areas are sensational, because they can create the illusion of detail where there is none. When you look at the impressionist painters, with one scoop and application of paint, they somehow seem to suggest a face; a fold in the fabric, or the branches of a tree. All with one stroke. The texture did the work. This is one of the joys of this textural technique. Added to this is the fact that all sorts of everyday things can be wonderful tools to apply the paint. 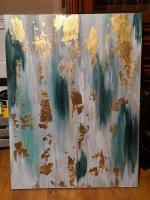 You can push it around with a palette knife, a brush, a spoon, a lid, anything you want! Amazing effects can be achieved by changing your applicator. Because you're using quite large amounts of paint, you can still move acrylics around for a while after applying them. This can also be a great way to paint when painting outdoors, as it allows for some spontaneity (and buys you a little more time before the paint dries). 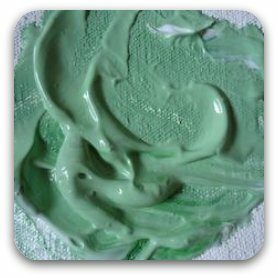 There are a couple of ways of achieving texture in your paintings. One way is to generously apply your paint, so that there is a lot of build. 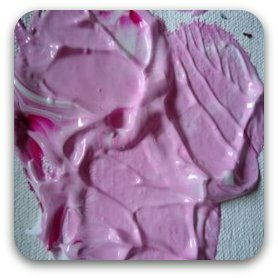 Secondly, you can add impasto gels (or textural mediums) to your paints to add to this effect. Another way of creating build that is slightly less spontaneous, is to add a texture medium over flat areas. I like to add a layer of Atelier Heavy Gel between paint coats to create some separation between the layers. This heightens the impression of depth and dimension. As an aside, creating the impression of depth and dimension using the laws of perspective and tone, only goes some way to achieving this. If you can actually create some literal separation, this amplifies the illusion. Adding a textural medium, even over a finished area, can give the piece a little more substance and interest. 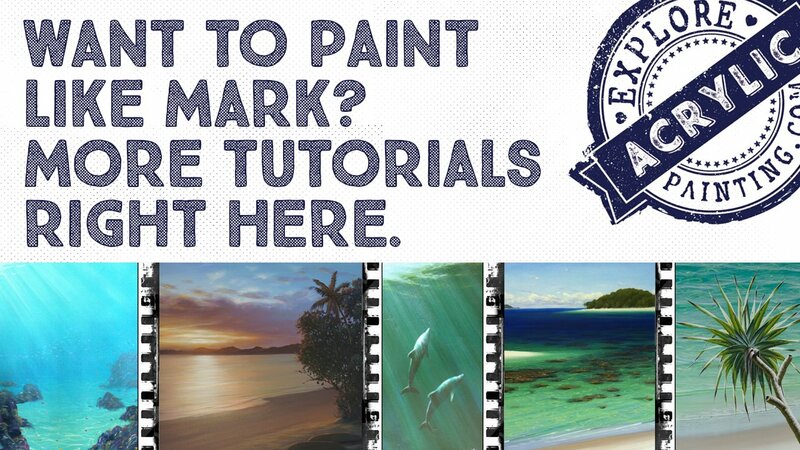 TIP: when you are applying your paint in this way, consider following the "grain" of your painting. As an example, make your brushstrokes follow the lines of a roof, this will help create the impression of iron or tiles (who wants to paint every tile or ridge?). If you're up for more homework, and you're feeling brave - drag out an old painting (one that died). Paint over it using the above techniques. 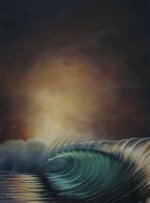 CPR for your paintings? Only the experiment will find the answer. Alternatively, paint over another dead piece with textural gel, following the "grain". 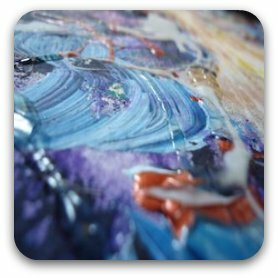 It probably won't save it - but, you'll uncover some of the possibilities that impasto has to offer. Worst case scenario, you'll have had a bit of fun; and condemned an already dead canvas to the bin. With acrylic texture techniques, when I say have some fun chucking some paint around, you really know I mean it!